Solar Panels on Seattle Homes? Seattle's Most Simple Real Estate Website! Crikey – With all the rain we have, you’d think people wouldn’t install them, but what happens when you go to sell that charming Seattle home? I read an article in the Seattle Times wherein the writer was commenting about the fact there is a growing trend here with Seattle Homeowners to go more “green” and recapture those dollars lost to power consumption. The solar panel companies are springing up everywhere and they offer these super deals with no up-front costs to you. You have a 15 year payment plan that is affordable in your eyes. Then someone in your family gets a job promotion and you go to the sell house. Whoops! Many buyers are wary about the solar panels with reason – How long are they warrantied? What if there is newer and better technology in the next couple of years and these panels are obsolete? What if the panels DON’T save as much as you/the solar company said? What if I don’t want to pay on YOUR panels for the remaining 12 years? These buyers are now asking sellers to do a lump sum payoff of the solar contract (that could run you $12-$30k), so they don’t have to incorporate that into their monthly expenses. After all, the buyer is likely paying far more for the house than you did and will have a higher mortgage payment overall. Adding the cost of solar panel payments may not be in the budget. Apparently, these issues are popping up all over So Cal. Several transactions or real estate sales are falling apart because the terms and qualifications to assume the lease of the solar panels was prohibitive to the next buyer. Over-all, it would’ve been smarter to just buy the panels, rather than lease. Wait… didn’t my dad tell me that about cars too? 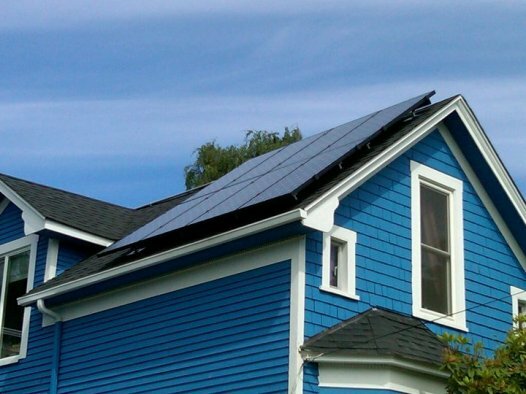 Do YOU already have solar panels on your house and now you’re thinking of selling? Are you trying to decide if it’s worth the investment? Call me and let’s chat further. With the contacts I have, I might be able to provide you with the information you need to have options and make a smart decision.